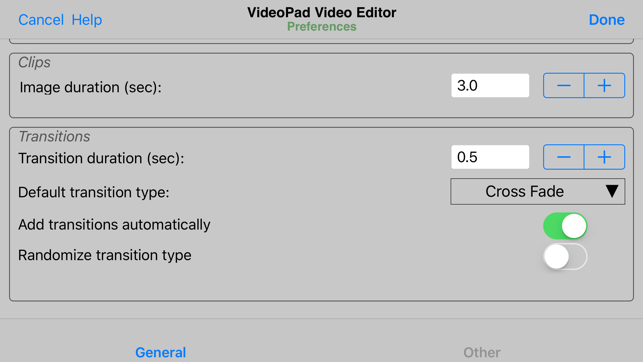 VideoPad Video Editor is a full-feature video editor anyone can use. 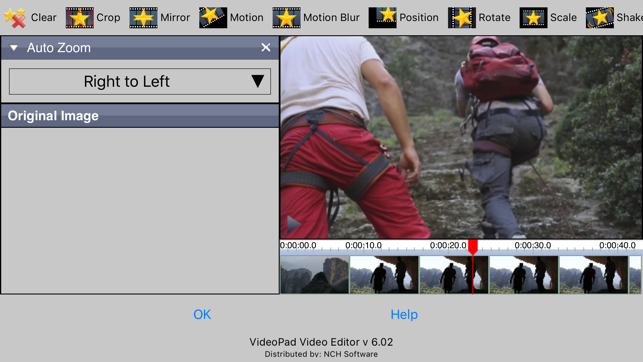 VideoPad is designed to intuitive for a friendly user experience. 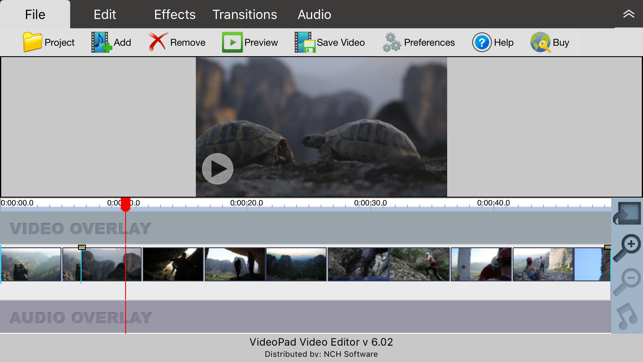 Using VideoPad, you can create professional quality videos in minutes! 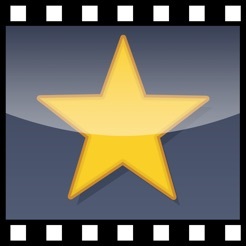 *Import Video - avi, mpeg, wmv, divX, Xvid, mpeg, mp4, and more! 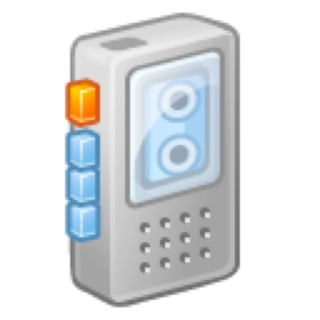 *Import Images - bmp, gif, jpg, png, tif and more! 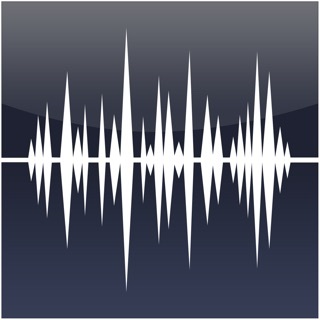 *Import Audio - wav, mp3, m4a, mid, and more! 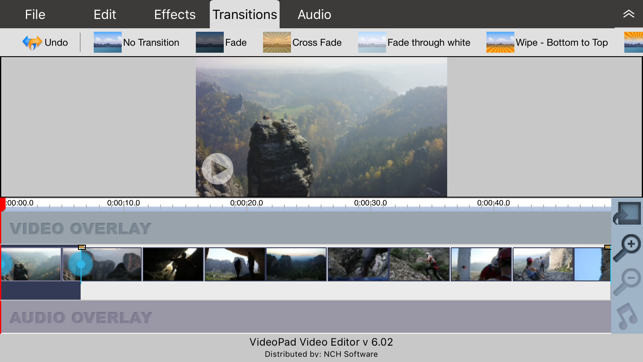 With VideoPad Video Editor for iOS you can also apply a wide variety of clip effects, transitions, speed adjustments, and many more! It was amazing.. until this happened.. When I first got the app, it worked really well and I loved it. But then it started to become glitchy, it deleted all my saved projects and I could only open one project, and when you went out of the app, THE ONE PROJECT YOU GOT TO WORK ON DIDN’T EVEN SAVE!!! IT TOOK ME TO A WHOLE NEW PROJECT THAT YOU COULDN’T EVEN SAVE EITHER! So I deleted the app and reinstalled it to see if it would work, it did... BUT, when I saved my project into my camera role, it was blurry, when I watched it on VideoPad it wasn’t blurry, only when I saved it became blurry. But it saved my projects. But now it decided to delete all my projects AGAIN! Right when I was about finished editing it sends me out of the app and when I opened the app back up it was deleted along with my other projects. PLEASE FIX THIS! I don’t want my projects being blurry any more it ruins them! PLEASE FIX THIS I’M COUNTING ON YOU! Everything works like it should. 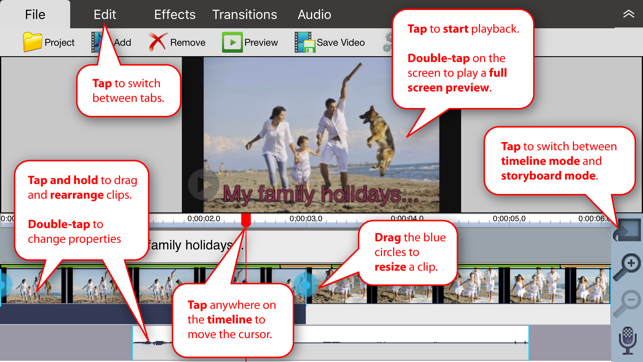 I use it for many of my videos but their is one major problem that happens every once and a while. When I go to add in my photos not all of the photos will show up. I could go and take photos from an album that had 64 photos in it and only three would show up. This has happened twice to me and the first time I just had to wait it out and they would eventually show up but this time it doesn’t seem to want to do that. If I could get some help with this it would be greatly appreciated. If not, please go to that address to contact our team. I have also forwarded your review to our support team and development team to investigate. We sincerely hope we can resolve this problem for you and again apologize for any inconvenience.